Tomorrow Samsung is going to announce Samsung Galaxy S3 Mini in germany. Samsung Galaxy S3 will work on Android 4.1 and it have 1GHz daul core ST ericson mobile processor. According to the Head of Samsung mobile communication "J.K Sin" that after the launch of the device, its features and detail will been seen on Internet just after the launch. But unfortunately its detail have been leaked earlier only. Samsung Hub reported that Samsung galaxy S3 Mini will have 4 inch Super Mold display and dual - core 1 GHz mobile processor and will come with ST-Ericsson. By default, Galaxy S3 mini will work on Touchwiz user interference with Andriod 4.1 jelly been update. 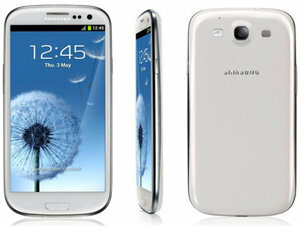 Samsung Galaxy S 3 smartphone Galaxy S which is supposed to launch small as 3 mini-states. The smartphone supports 800 X 480 pixels resolution that has a 4 inch Super Mold display. Surprisingly, the ST Ericsson smartphone's 1 GHz dual - core mobile processor, 1 GB RAM, coupled with U8420 will be used. By default, the Galaxy S 3 Mini 16 GB on board memory and a 32 GB memory card slot MicroSD card will have the ability to keep the memory.